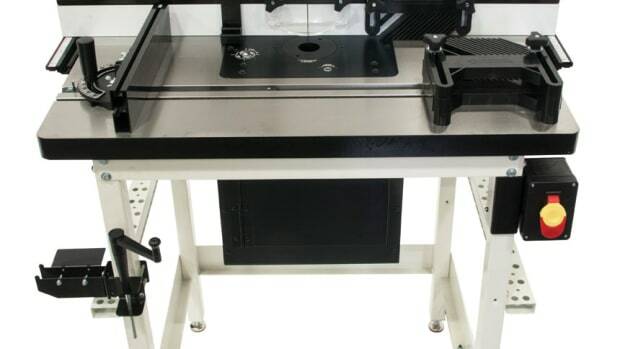 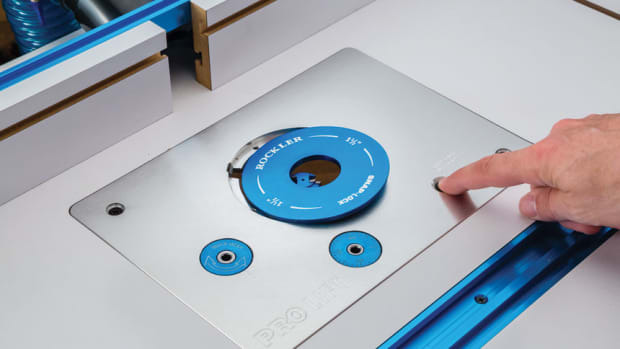 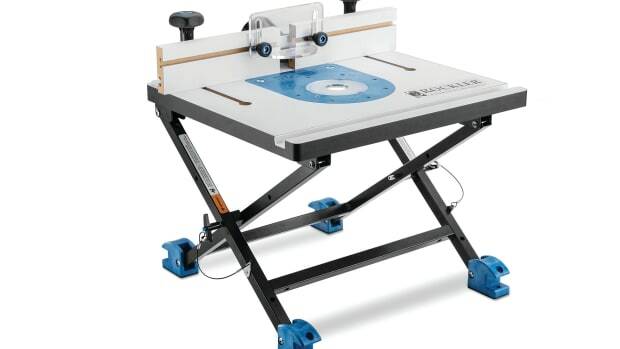 The lift replaces the standard insert plate in a router table. 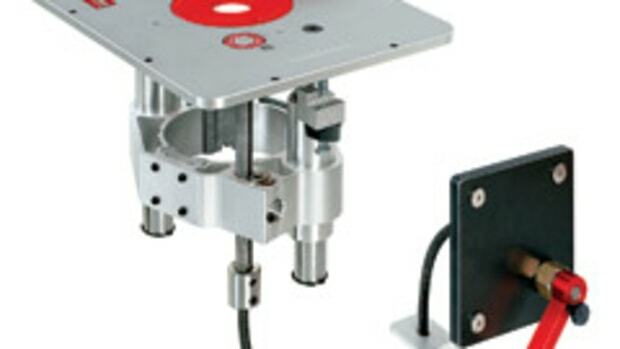 It holds the router motor in a carriage that can be raised and lowered. 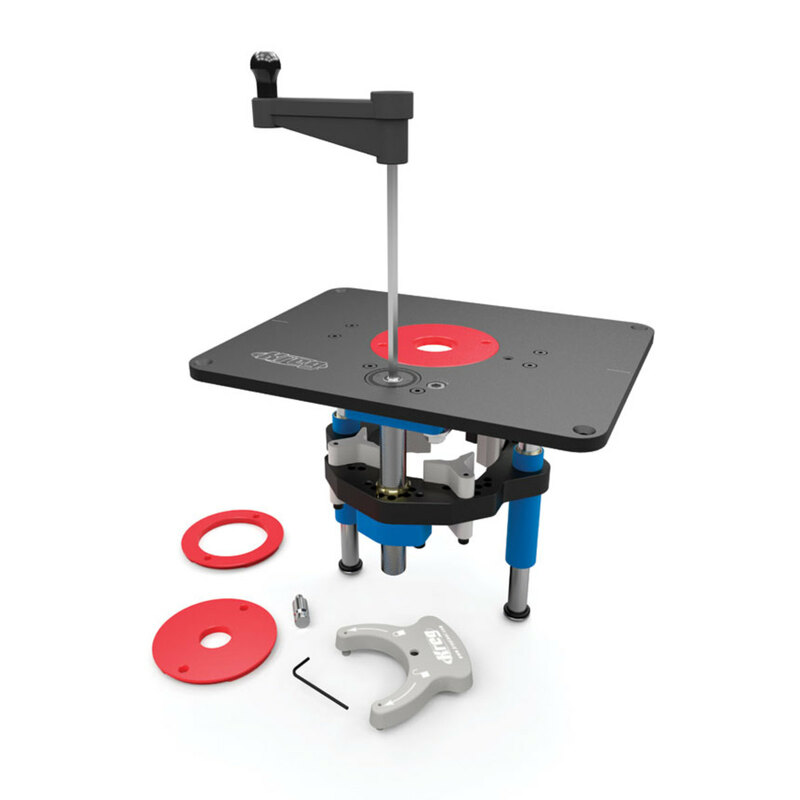 A full revolution of the lift’s adjustment crank moves the bit 1⁄16”. 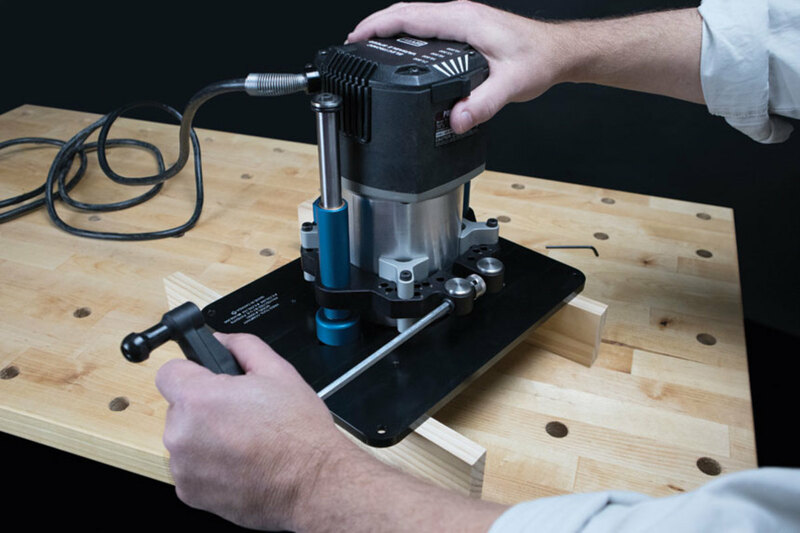 Finer adjustments are also possible through a rotary dial in front of the throat plate and there’s a built-in scale that can be zeroed out to establish a baseline bit setup. 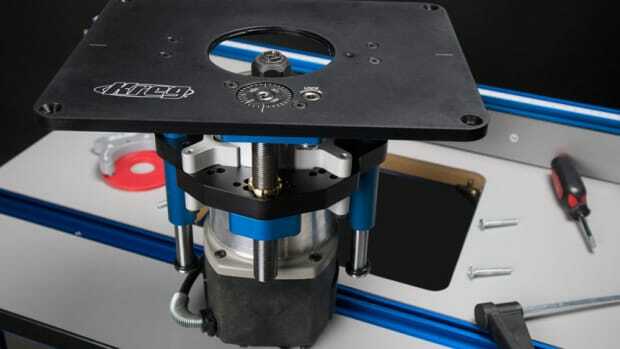 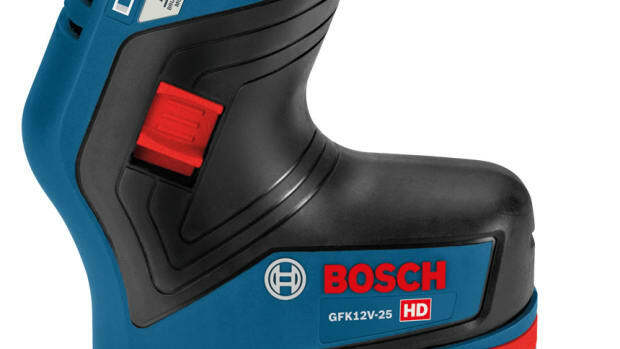 This allows for exact bit height changes and readjustment to the exact same setting for repeat cuts. 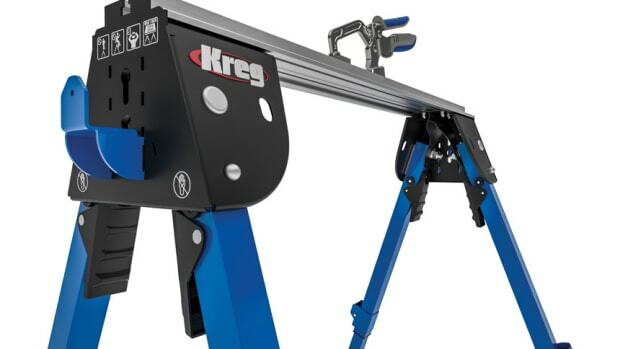 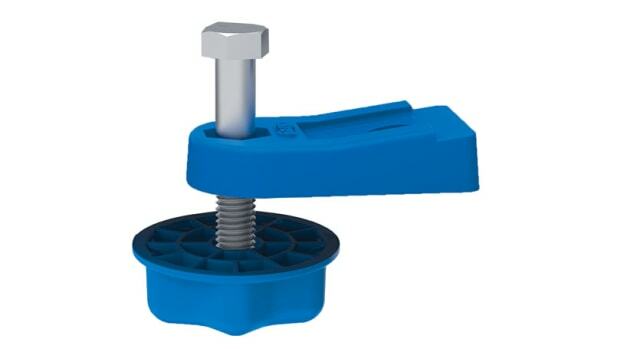 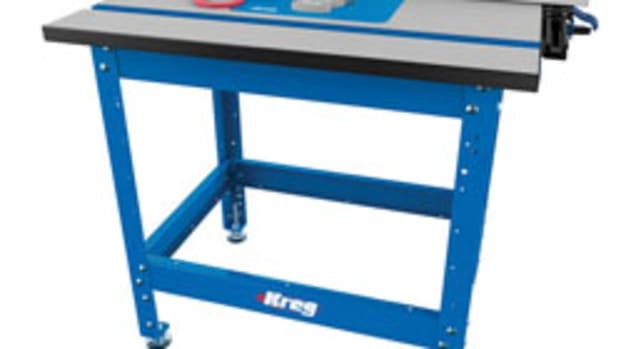 Kreg’s Precision Router Lift is compatible with most router brands and sells for about $300.